Being in a car accident in Hollywood or anywhere in South Florida is already frightening, but it can be downright scary how a collision can affect your finances for some time. There may be hospital or medical bills to pay after your accident, for example, as well as costs for getting your car towed and repaired. You may miss out on some time at work and may need to rent a car or take a taxi while your car is being fixed. Car insurance, of course, is meant to help you pay for some of these costs. 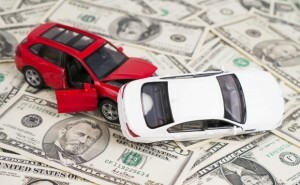 The problem is that after a crash, your insurance rates may go up. This means that even though insurance can pay for some of your accident costs, the higher insurance rates will mean you’re paying for the crash for months or years in the form of higher premiums. 1) Make sure there’s a thorough and full investigation into the cause of your accident. This is especially vital if you’re being accused of causing the crash. If you’re charged with a criminal offense or issued a ticket, see a defense attorney about contesting the ticket or minimizing your charges. If you’ve been injured in the crash, contact a personal injury attorney in Hollywood or your community. An attorney can unearth all the reasons for an accident, so even if you made a mistake there may have been other factors contributing to the accident, reducing your liability. An attorney can also help you negotiate with your insurance carrier. 2) Seek out fair compensation for your injuries. If you’ve been injured, pursue the maximum amount of benefits you can. You may be entitled to them, and the right financial resources let you pay for all the costs associated with your accident – including any long-term costs. 3) Take a driving safety course. It may help you lower your insurance rates. At the very least, it will improve your driving skills so further tickets and crashes will become less likely. 4) Shop around for insurance rates. You should be doing this every few years, anyway. Insurance companies are always changing their rates to stay more competitive, and simply switching providers or bundling your insurance products together can save you money. 5) Take care of your credit rating. Your driving record is only part of the equation when it comes to the size of your premiums. Keeping your credit score high by paying your bills on time and paying down your debts and credit cards can also help you improve your insurance rates. If you’ve been injured in a car accident in Hollywood, Homestead, or anywhere in South Florida and need someone to help you with your insurance company or claim, contact Flaxman Law Group. Our law firm is always happy to provide free consultations.